Mr Peleg said while there were certainly some benefits to dual occupancy investment, in particular, improved cash flow and reduced maintenance costs, the risks associated with them were high. 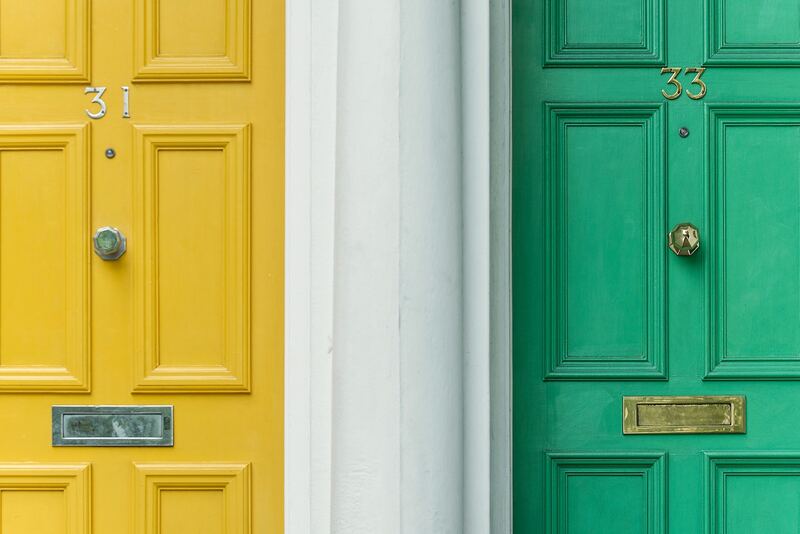 While dual occupancy properties look similar to duplex developments, these are completely different assets as dual occupancy homes are on one formal titleas opposed to two titles, with separate utilities. “Investors are being tempted by high rental projections, promised great returns and the lure of financial independence, however, this type of property carries major risks,” he said. He said there was also a risk that lenders would introduce stronger lending requirements either in the form of greater deposits (lower LVR) and/or greater serviceability given dependency on a high rental income was the substance of the investment. “You might also have a problem when you want to sell them as these properties are on one title, meaning there are two dwellings and you have to sell them jointly. “Also, these types of properties are largely sold to investors - whether both are rented out or whether one is rented and the other owner-occupied. Generally, at least one of them is an investment property. “So there will be a very small number of owner-occupiers who want to buy them, as most want standalone houses on decent-sized blocks. Which means you are losing a major market segment, the owner-occupiers. He said the price of dual occupancy properties was in many cases 70 - 80 per cent or higher than the price of an off-the-plan standalone house in the same suburb, which put them in the top 5 per cent of the market and buyers at that price range preferred “houses in better places, with higher median prices”. Pimpama, in Queensland, provides a good example of this, where the typical house-and-land package is $518,000 while some dual occupancy properties carry a price of $950,000. This places the price for dual occupancy at 80 per cent higher than a house-and-land package. 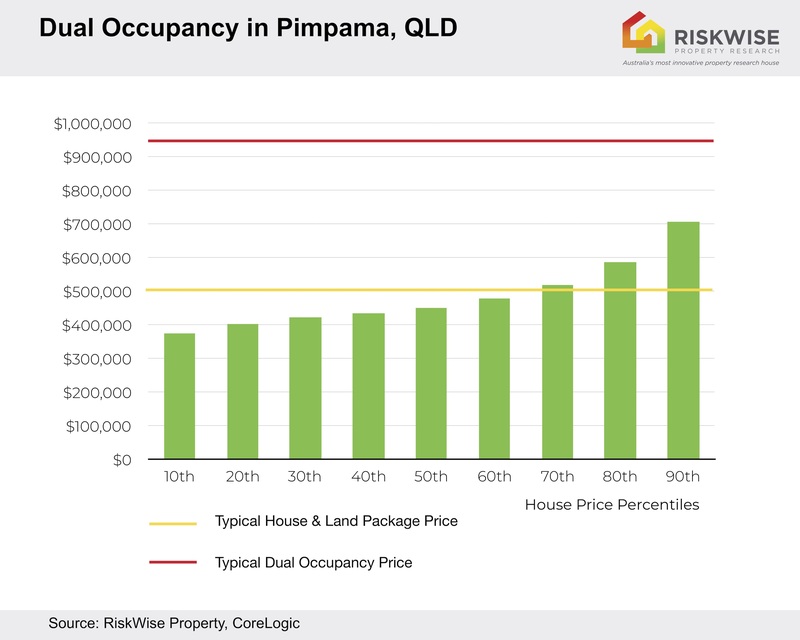 It is also significantly above the top house price percentile for Pimpama, as the 90th percentile of house prices in Pimpama is $707,016 (meaning 90 per cent of all house prices in Pimpama are below this figure). “The third risk is, in many cases, there is a large supply of similar properties, so you have over-saturation of the market and renters obviously have preference for a standalone house with a big backyard, so finding tenants can become problematic, which means your actual cash flow might be lower than the projected cash flow,” Mr Peleg said. “In addition, potential changes to negative gearing and capital gains tax proposed under a Federal Labor government will see reduced demand to purchase rental properties due to the creation of primary and secondary markets - and this will cause dwelling prices to decline in some regions.